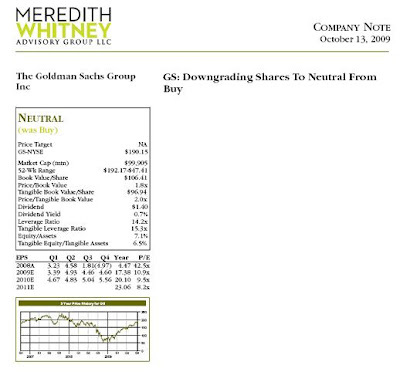 With much fanfare, Meredith upgraded Goldman on July 13, after watching it move from 50 to 145. Since her upgrade, investors in Goldman have actually underperformed the S&P's Investment Banking & Brokerage Index. If you listened to her, you paid $149 for Goldman, and then sold it today for $187 catching 38 points, or 24%, versus the 29% increase of the index. Of course, her research willl show the price of $190.15 for the cut, and the $141.87 for the buy-fantasy prices no one would get expect those she allowed to front run her research. Thus she'll book the 34% fantasy game, because that's how Wall Street works. 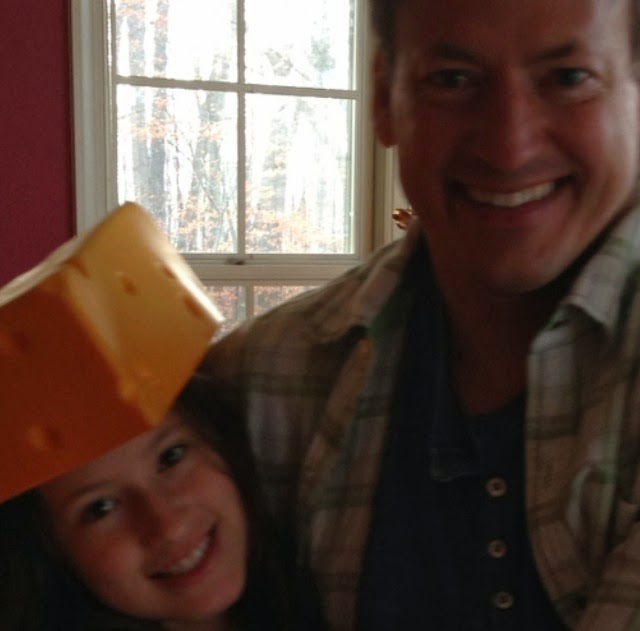 On September 10, Meredith went on CNBC, and said that October would be a month of reckoning. She said she expected home prices to fall dramatically, bank fundamentals had not improved, and another leg down in stocks was still coming. Goldman, however, still had a lot of "gas" in its tank. 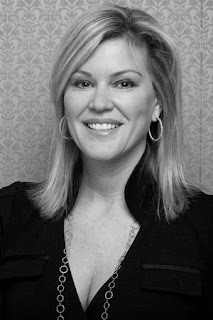 I've only found one objective analysis on the web on Meredith Whitney's market calls, and that's right here. So now you know the definition of "a lot of gas in its tank" on Wall Street. It only goes to one earnings report!